Paul Murphy is the group leader of Solidarity-People Before Profit in the Irish parliament. This is the fifth largest party in the parliament and made big gains in recent elections. 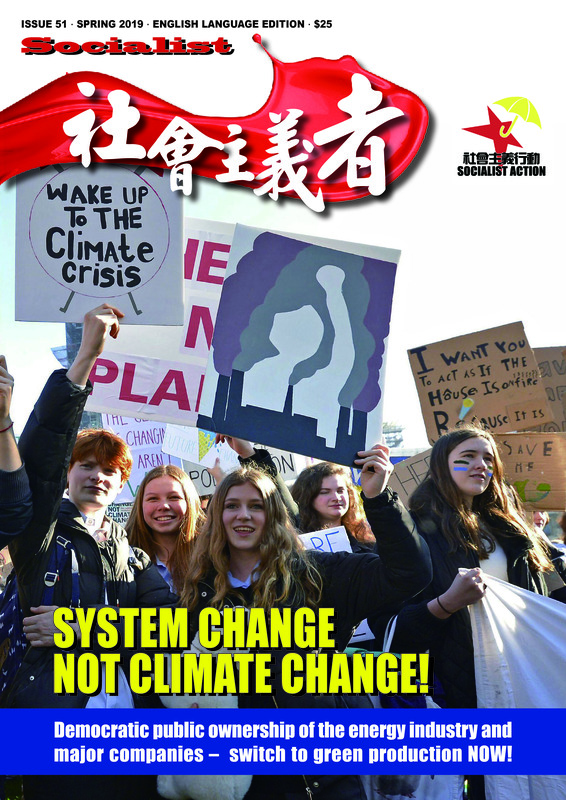 Socialist magazine asked Paul Murphy about his party’s support for the Global Solidarity – Stop Repression in Hong Kong campaign. Socialist: Your statements in support of the Stop Repression in Hong Kong campaign have been really appreciated. So, we begin by saying thank you. What prompted you to speak out over democratic rights in Hong Kong? Paul Murphy: Our party believe that all repression must be resisted, especially the type of action taken by the Hong Kong government in its attempt to crush any opposition to its neo-liberal policies. The removal of six legislators including long-standing democracy campaigner ‘Long Hair’ Leung Kwok-hung, and the sentencing of activists to several months in prison is most undemocratic. Socialist: Tell us about your party in Ireland. Is there a connection to the situation in Hong Kong and China? Paul Murphy: Members of Solidarity including myself and other elected local representatives, Kieran Mahon and Mick Murphy, were charged with ‘false imprisonment’ (kidnapping) alongside nearly two dozen other members of the local community in the town of Jobstown. This was for participating in a peaceful sit-down protest that blocked the then Deputy Prime Minister’s car. This protest was in opposition to the government’s devastating austerity measures that have ravaged the local community. It was also in opposition to their hated water charges, another austerity measure against working class people. The court action against us was serious. If we had been found guilty, we faced a potential life sentence. These false charges were an attempt by the Irish government to criminalise the right to protest. Mass civil disobedience defeated them over the water charges. Following this humiliating defeat, the government wanted to create fear in people about protesting in the future. Solidarity alongside other defendants and local activists groups were able to run a successful campaign ‘Jobstown Not Guilty’ which led to a not guilty verdict. That verdict sent shockwaves throughout the country while furthering the confidence of the working class to fight back against the austerity plans of the Irish establishment. There is a strong connection between the Jobstown Not Guilty case and the repressive measures of the Hong Kong government. The global capitalist system is in crisis with wealth inequality is at a historically high level. Workers are fighting back and therefore the ruling capitalist class will continue to escalate its repressive measures to protect its rule. Socialist: What is the Irish government’s record on these issues, and it’s relations to China? Paul Murphy: Unfortunately, the Irish government has a long history of placing the interests of big business and trade before human rights. The government tends to remain silent on human rights violations if that serves the interests of the Irish capitalist class. This was also shown by the Irish government’s support for the Spanish government in relation to the referendum in Catalonia. Where the Irish government fails, Irish workers shine. The working class has strong tradition of standing in solidarity with people around the globe who are fighting against injustice. Solidarity stands in that tradition. Solidarity is calling for the immediate release of all the political prisoners in Hong Kong. The disqualification of elected legislators is quite clearly election fraud. We will do what we can to assist the people in Hong Kong and in China to defend and win democratic rights. We learned about the serious attacks on democratic rights in Hong Kong from Socialist Action. We are pretty sure the suppression of democratic rights in Hong Kong is at the behest of the capitalist dictatorship of China, which scandalously calls itself ‘communist’, while for decades it has brutally put down workers and youth fighting for genuine democracy. Your struggle needs all our support, and we are with you 100 percent. Per -Åke Westerlund, anti-racist campaigner and author, Stockholm, Sweden. The Stop Repression in Hong Kong campaign is of global importance. We support you because the fight for democratic rights is global. And with MTR, which is a major employer in Stockholm, we have a piece of the Hong Kong regime in Sweden as well. 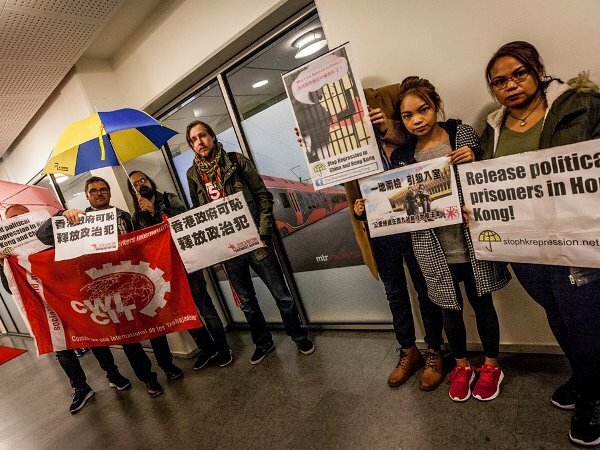 In Sweden, we will inform as many as possible about the repression in Hong Kong and take new initiatives to protest and show solidarity with your struggle. On 12 October we gathered outside the headquarters of Metro trains (part-owned by MTR). 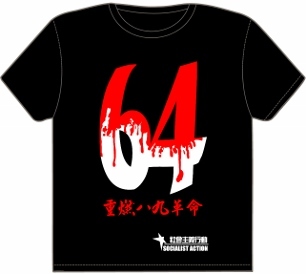 This was to show solidarity with workers and pro-democracy activists in Hong Kong. Our aim was to highlight both the rotten role of MTR as a pillar of the undemocratic government in Hong Kong and the complicity of Australian governments and capitalists in the denial of democratic rights in China and Hong Kong.